PERFUMED ROSES perfect for picking. 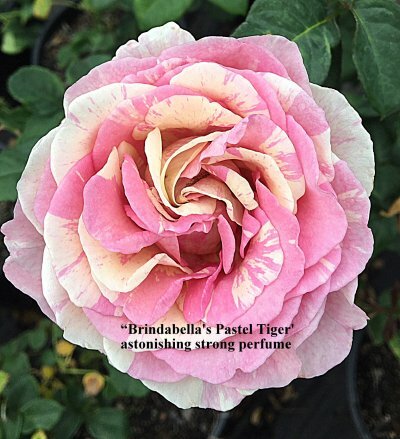 Our selection of exciting roses we have extensively trialled - wild colours , strong perfumes and amazing vigour. 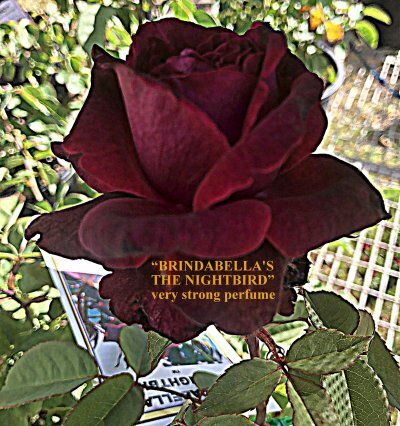 This rose has very strong, true rose perfume - all that you could ever wish to have. As near to black in a rose that you will see with plenty of petals and a high centre. The buds are jet black like black pearls. Flowers repeat every 7 weeeks on a bushy plant with healthy dark green foliage. 1.2m tall x 1m wide. Holds it's colour well in heat. This photo was taken oudoors with simply a hat over for shade in 30C heat. Repeat flowers in flushes every 7 weeks. HIGHLY RECOMMENDED. Sylvia's favourite rose and no wonder! 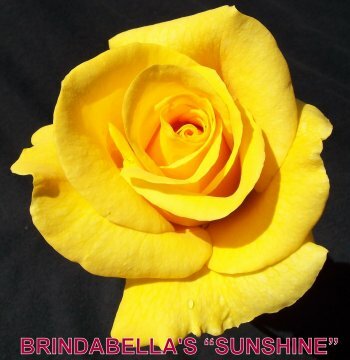 Large flowers with up to 100 petals are freely produced on long, strong stems and the perfume is astonishing. Sylvia likens it to the great French perfume houses. If you thought that roses for picking had lost their perfume, this rose will change your mind. The bush has plentiful foliage all over and is multi stemmed, so looks good in the garden. There is very good blackspot resistance and no mildew. Heat tolerant. 1.2m x 1m Bred here at our nursery in Toowoomba, Queensland. Here we have a hybrid tea rose that positively oozes class. Beautifully formed, large flowers with high centres are produced on long, strong stems with rapid repeat. 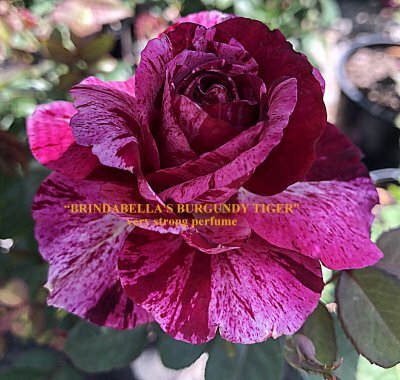 This rose has very strong, true rose perfume - such a bonus on a rose with such awesome colour of deepest burgundy with white/cream stripes and flecks. There is plenty of good strong green foliage all over and the bush is multi stemmed making it most appealing in the garden - no stalky growth here! Mildew and blackspot are just shrugged off. Bred here at our nursery in Toowoomba, Queensland. Very heat tolerant. HIGHLY RECOMMENDED. 1.2m x 1m. 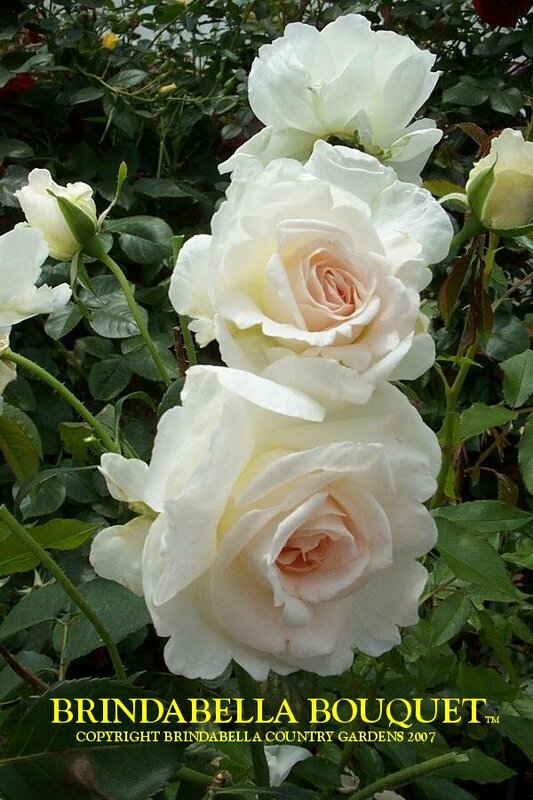 A LOW OR NO BLACKSPOT ROSE nor MILDEW. This rose is a joy to grow. 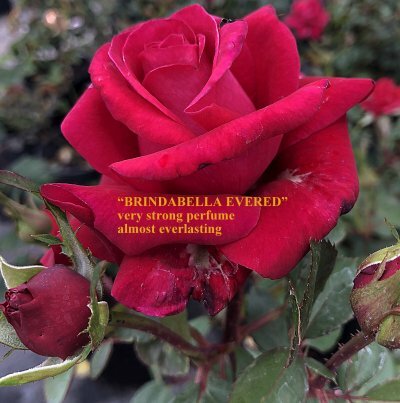 Very shrubby growth with leaves that cover the bush and AMAZING, STRONG PERFUME with notes of of pure damask. 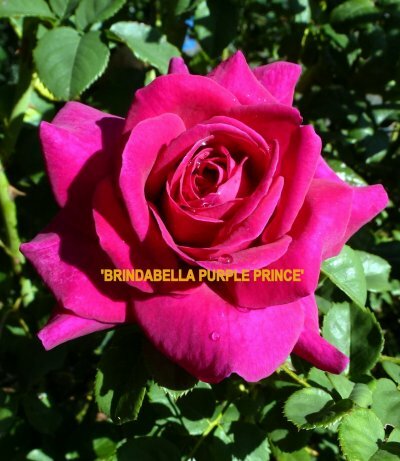 The flowers are a strong , rich purple and repeat throughout the season.This rose is a new benchmark in roses nationally and bred here in Queensland at our nursery. EXCEPTIONAL AND HIGHLY RECOMMENDED. Here we have a rose with astonishingly strong, pure rose perfume, with large flowers full of petals which are mid pink with yellow undersides. This gives a very pleasing effect of pink with a yellow heart, that evoke memories of the victorian era and sumptuous, soft lacey fabrics and furnishings. The bush is a modern shrub with plenty of branches full of attractive foliage - typical of the NEW roses we are breeding here at our nursery. 1.2m high and wide. HIGHLY RECOMMENDED. 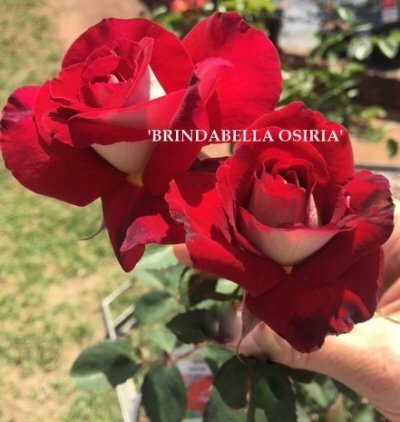 A magnificent dark red rose which is borne on long strong stems ideal for cutting. The large flowers are strongly perfumed as good red roses should be and they hold their shape seemingly forever! . The bush is free flowering and very healthy with good foliage. 1.2m tall and 1m wide. HIGHLY RECOMMENDED.